Today is going to be one of them I’m-posting-an-unpopular-opinion days, but it think it’s needed. As most of you will know, I am a huge The Walking Dead fan, and if you follow me on Twitter, you’ve probably seen me tweeting quiteeee a lot since the most recent episode. And the tweets weren’t spoiler free, and I really, really apologise for that. Warning: this post won’t be spoiler free either. Like, seriously, look away right now if you don’t wanna know what happens if you’re not caught up! After Rick’s plan to lure thousands of walkers away goes off track (quite literally), Glenn and Michonne are left in charge of getting everyone back to Alexandria. 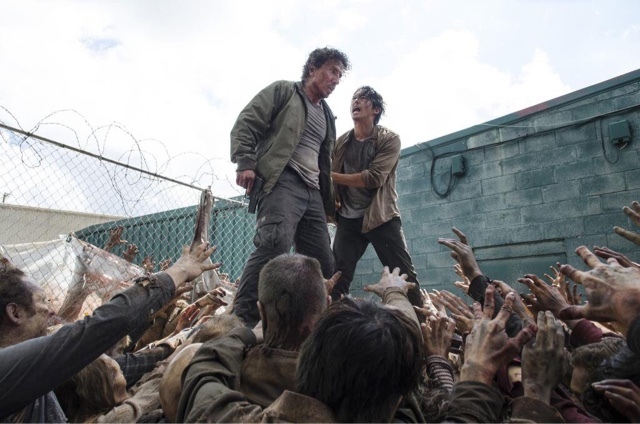 But, this being the tense show that it is, things don’t go to plan and Glenn and Nicholas find themselves trapped on top of a dumpster, surrounded by a horde of very hungry walkers. But I’m not here to talk about Glenn today. Don’t get me wrong, this broke my very sensitive heart, and I sobbed until my makeup was pretty much all over my face, all over my clothes and even all over the sofa. But no, I want to talk about Nicholas, and the unfair hate he’s been receiving in the big wide world of social media. I’ve seen nothing but tweets along the lines of “Glenn should have killed him in the first place”, “most hated character ever”, “Nicholas is a coward”, “I’m glad he’s dead”. I even ended up receiving hate from Glenn fans simply because I said I wanted to see Michael Traynor (who plays Nicholas) at Walker Stalker Con. Seriously?! I’m not allowed to like the actor that played Nicholas now… What is that about? “Glenn should have killed him in the first place”: This would have completely changed Glenn’s character, and would have been the start of a new era for him. Glenn is not someone to kill in cold blood, and had he done so, I don’t think he’d ever forgive himself. It’s this mercifulness and compassion that allowed our hearts to really fall in love with him in the first place. Killing Nicholas would have changed everything for Glenn. “Most hated character ever”: Yes, we all hated Nicholas at one point. I certainly wasn’t quick to forget Noah’s gruesome death being down to Nicholas’s ‘fight or flight’ response. But since Glenn spared his life, Nicholas became a new man. 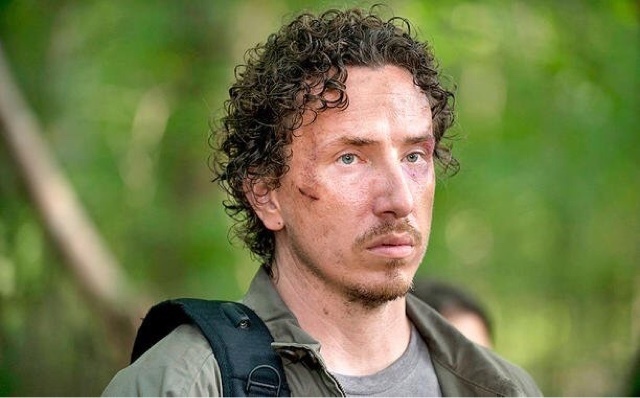 He began to look towards Glenn as a mentor, someone to aspire to, and so began the transformation from a cowardly man into someone completely different. He became eager to help, owned up to his mistakes, and, with the help of Glenn, he faced demons from his past and pulled through. “Nicholas is a coward”: Granted, Nicholas was very cowardly when we first met him, but towards the end, he certainly wasn’t the man he was before. Although we saw his acute stress disorder take over numerous times in Thank You, Glenn always pulled him out of it, and Nicholas kept going and carried out the task at hand. Yes, he ended up taking his own life, but this wasn’t done in cowardice. He was finally brave enough to accept that he wasn’t cut out for that world, not like Rick and Glenn and Michonne are. Nicholas simply did what we’ve all expected more people to do realistically: take his own life before something else took it for him. Even our beloved Rick was seconds away from blowing his brains out in the first season, way before things were that bad. “I’m glad he’s dead”: Well, this one is a matter of opinion I suppose, but I, for one, can easily shed a tear for Nicholas’s demise. He had so much potential to grow, and was such a deeply complex character whose journey I enjoyed watching each episode. “Ew. Why would you want Michael Traynor at WSC? !”: Well, because he did an amazing job playing his character? I can’t believe people are hating on the actor because of who he played. Whatttt?! Bearing in mind he was a relatively minor character, Nicholas’s transformation with barely any dialogue is a testament to the impressive acting abilities of Michael Traynor. Seeing him lost in his own eyes with a quivering lip and that look of hopelessness broke my heart. Bravo, Michael Traynor, magnificent job. So, that concludes my ramblings for this week. 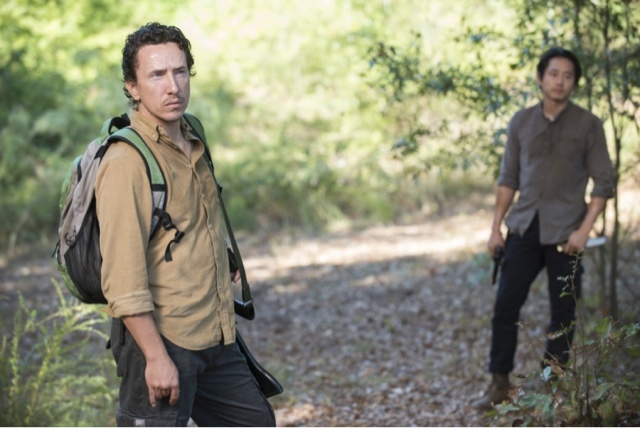 I know my opinion is unpopular, especially with all the Glenn fans on Twitter, but I clearly couldn’t fit all of this waffle in a tweet, and so arrived my first The Walking Dead blog post. There’s no doubt that The Walking Dead is one of the best character driven dramas out there, and we’ll have plenty more differing opinions and tearful scenes to tear our hearts to shreds in the future.